Only a short ferry ride from off the coast of Queensland from Cleveland lies the beautiful island paradise of North Stradbroke. This beautiful island is famed for its sparkling crystal clear waters and white sandy beaches. 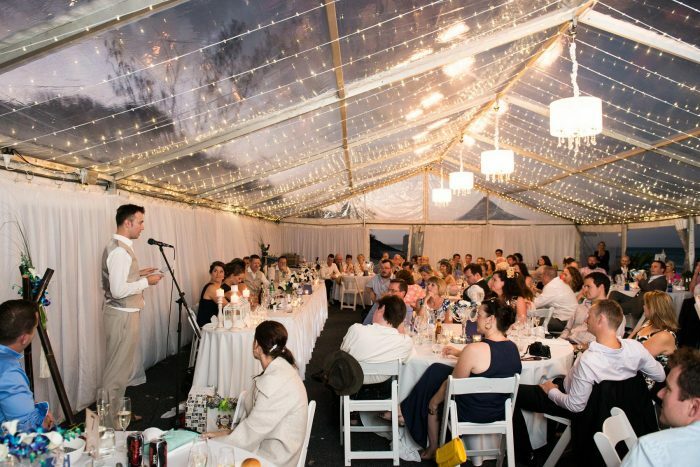 It was here that Michelle and Ed tied the knot on a beautiful Sunny day surrounded by their friends and family. 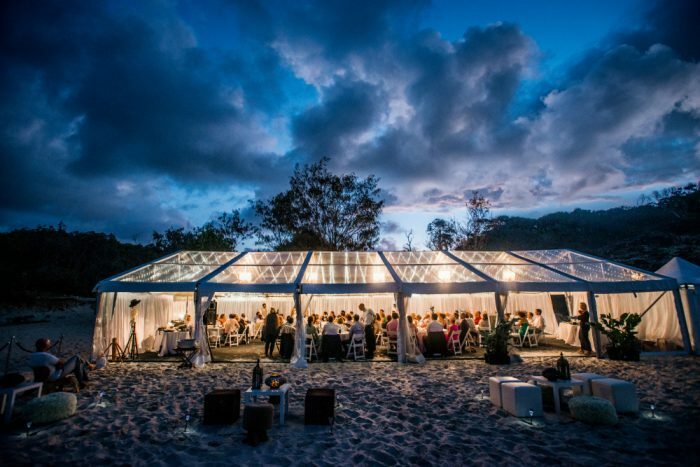 Cuisine on Cue had the pleasure of catering for Michelle and Ed’s Stradbroke Island wedding. 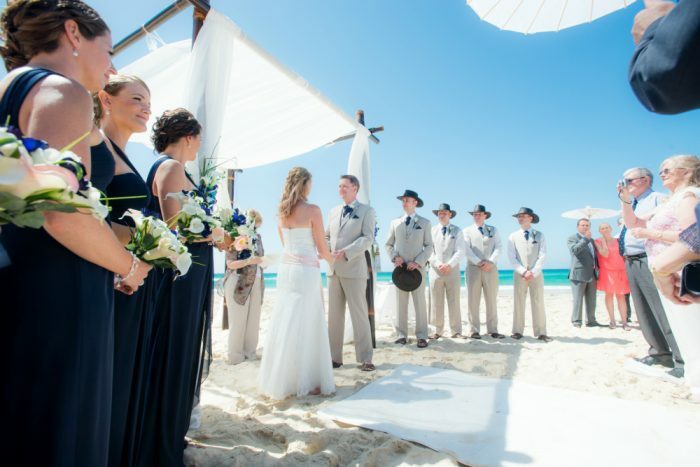 The couple said their vows, with their feet buried in the sand and waves crashing against soft white sand just meters behind them. Following the ceremony, guests were served drinks and hot and cold cocktail canapés including Vietnamese rice paper rolls, house made pork terrine, wagyu beef sliders and chorizo and fresh scallop stacks. 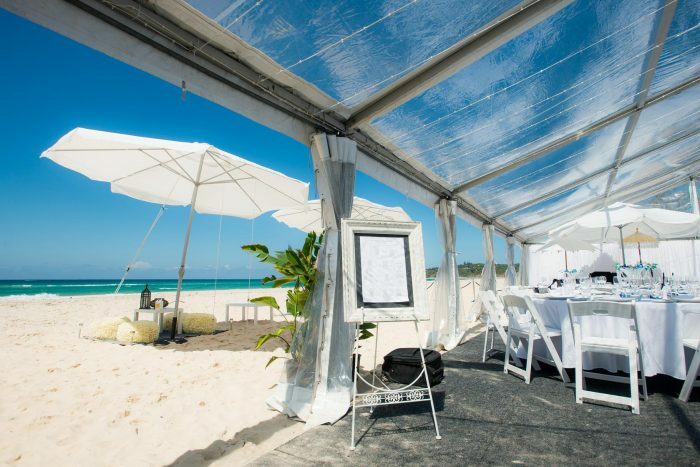 Guests took their seats in the marquee located on the beach, behind where the ceremony had taken place. Mains were served in the form of share plates to be enjoyed and passed around by guests. • Sustainably farmed Queensland barramundi. 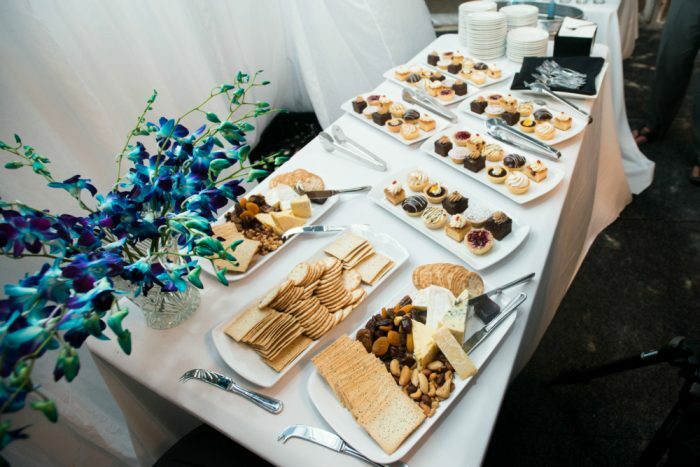 A dessert buffet included a selection of Chefs special indulgent moments as well as fruit and cheese platters. Coffee and tea was also available made available. 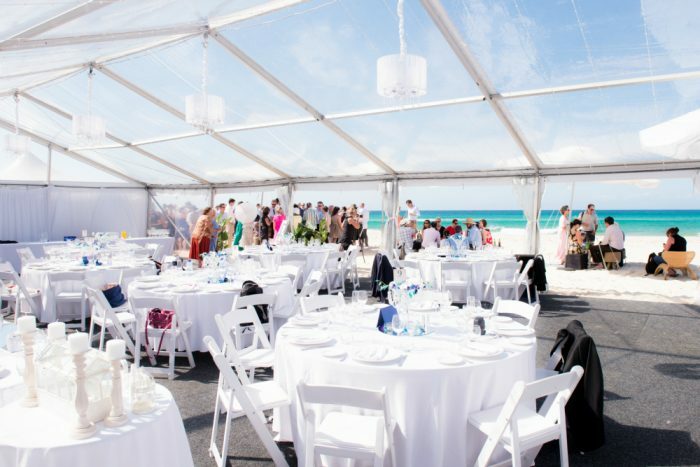 Our experienced team can provide catering for North Stradbroke Island weddings. 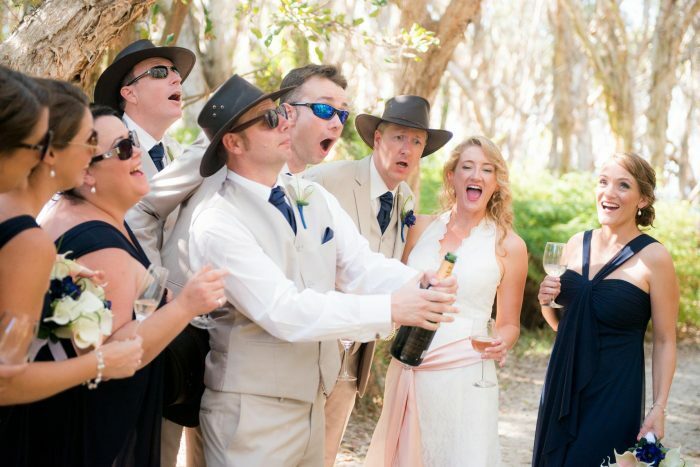 If you are looking to plan a stunning destination wedding on North Stradbroke Island enquire today.